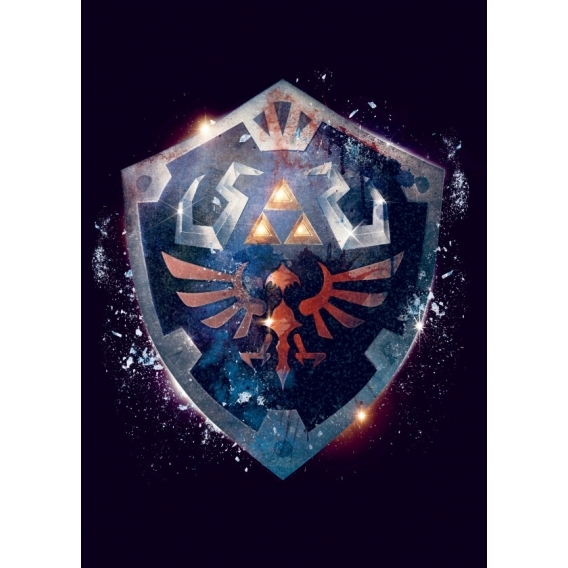 The mythical shield of Link in an original metal poster. 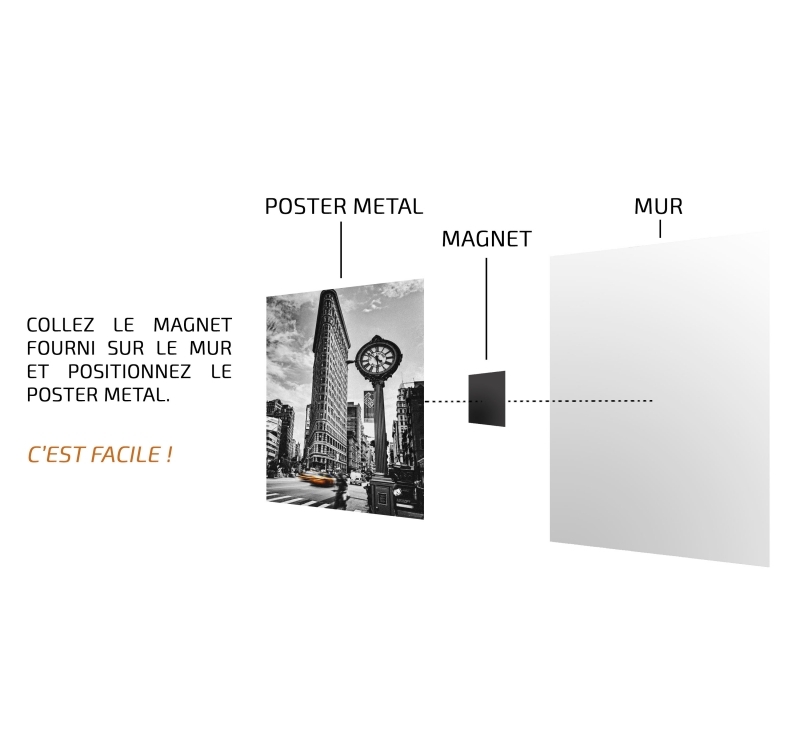 This metal video game poster comes with its magnetic attachment system. The dimensions of this mural poster are 48 x 67.5 cm. 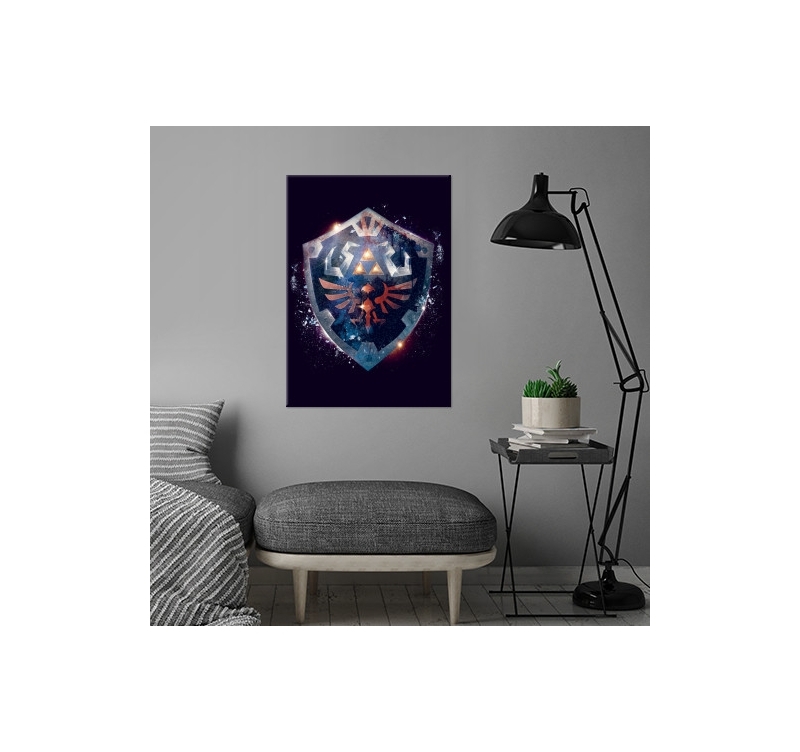 Completely free shipping in France and Belgium for this metal wall decor. Zelda's hero is well known for his weapon arsenal offensive but also defensive ! 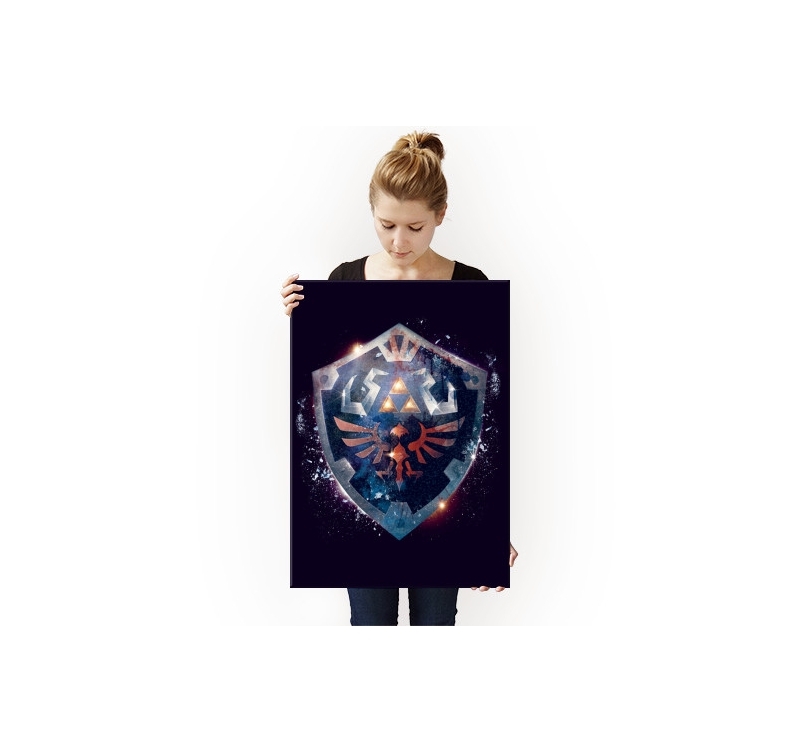 This metal deco poster features Link's shield in a bright 3D style that will brighten your home decoration. 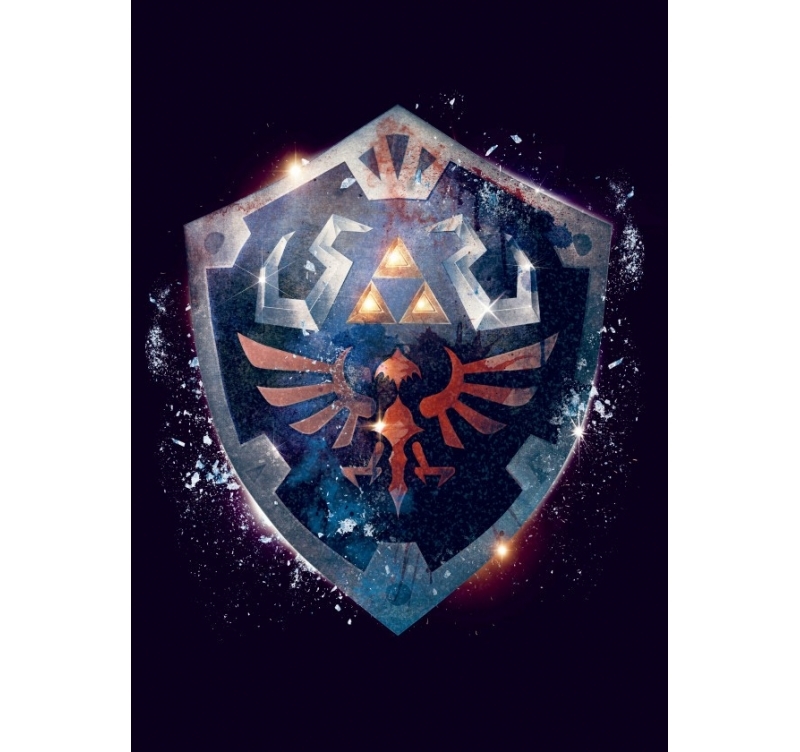 With the different symbols of the video game that are present on the shield, this metal wall decoration takes all the codes of the saga! Fans will recognize the eagle as well as the three triangles on the top of the shield that allow to have a decoration closer to reality. Directed by our artists, this metal deco poster is signed by our production manager and with a hologram to have a real collector's item. 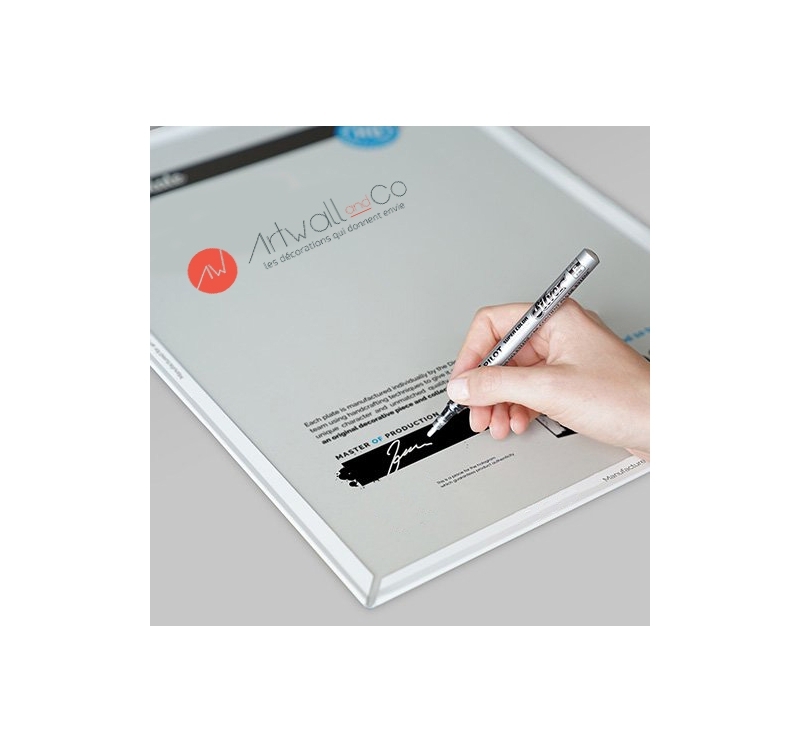 Any order from this large metal wall poster allows you to directly support the artist who created it.